Google's not one to shy away from engaging its developers. Between the Android developers blog, Google Groups, and a myriad of other contact methods, Google is pretty open about talking with developers. 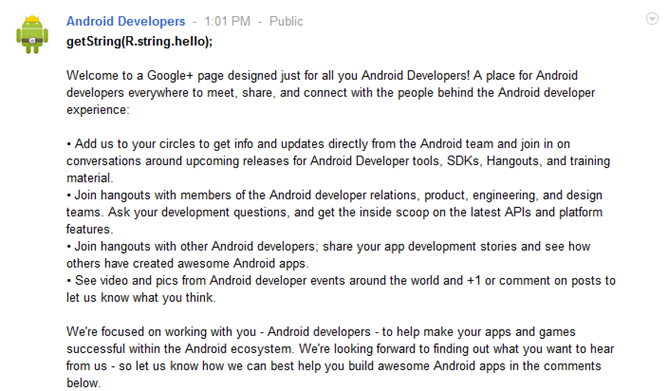 If you're looking to get a bit more social, you can now add the official Android developers page to your circles Google+. If there's one thing we love, it's an open community of developers working together. Google has been pushing harder to try and steer its developers in the direction it wants. The style guide is a pretty big step. This should be just as welcome. 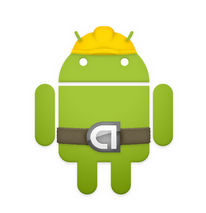 No word yet, though, on whether our favorite loveable Android mascot will be appearing in a Hangout.